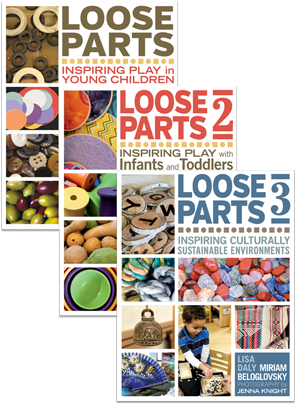 Redleaf Press is excited to offer a chance to win a full set of the Loose Parts series (includes Loose Parts: Inspiring Play in Young Children, Loose Parts 2: Inspiring Play in Infants & Toddlers, and Loose Parts 3: Inspiring Culturally Sustainable Environments).Click HERE to enter. For more than 30 years, Miriam Beloglovsky and Lisa Daly have been teachers of and advocates for early childhood education. They are the bestselling authors behind the Loose Parts series and Early Learning Standards Made Visible. With the release of Loose Parts 3: Inspiring Culturally Sustainable Environments, the newest installment of the award-winning series, Lisa and Miriam guide readers to use their environment to promote a sense of joy and allow children to explore their identity. With loose parts the possibilities are endless. Read on to learn how the Loose Parts series has grown and what’s next. What is your favorite benefit of Loose Parts play? Our favorite benefit would be how loose parts engage children’s sense of wonder. We love seeing how play with loose parts promotes children’s creativity and innovation. Seeing children’s faces as they concentrate on building a structure using a variety of loose parts or watching a big smile that comes when a child achieves her goal is priceless. More than anything, we delight in listening to children’s conversations and how they represent their thinking in powerful ways. When children play with loose parts, possibilities are unlimited. Playing with loose parts promotes the intellectual knowledge children need to be successful in the future. They are learning as they play, test their ideas, and develop hypotheses. Play with open ended materials is significant and deeper than academic learning, where children only memorize and repeat information that they will probably forget. In loose parts play, children can be joyful, that is one of the best gifts we can give them. Are you surprised at the success of the Loose Parts series? Yes, we never imagined that the books would be received with such enthusiasm. We had the passion and a vision about the importance of loose parts as a vehicle to promote play and learning, and we wanted to share it with others. The books evolved and morphed as we explored new materials and provocations. We have learned a lot in this journey and loose parts have transformed our thinking about play and children’s incredible capacities for creativity, innovation, and deep thinking. What inspired the subject focus of Loose Parts 3: Creating Culturally Sustainable Environments? We aspire to create spaces that support children’s identity, history, language, traditions and values. We have a deep belief that every child has the right to play, and the right to belong and be valued. This is especially true today, when children need to be prepared to function in a not-yet-created world of the future, where they will have to successfully maneuver multiple global perspectives. We want children to be able to have the confidence and abilities to navigate multiple messages that either support or criticize their identities. Children’s success can depend on how they use critical thinking to define their identities and define others around them. We wanted to write a book that offers an educational philosophy that creates a sense of belonging, supports children’s identities, brings joy and a sense of wonder, and is culturally responsive and sustainable. In our journey as educators, we have learned that the multiuse and open-ended power of loose parts can promote cultural sustainability by embracing important cultural values, such as respect, integrity and the core beliefs of every culture. We have made a conscientious commitment to use loose parts educational philosophy as the lens to write Loose Parts 3: Inspiring Culturally Sustainable Environments. This book expresses our understanding of diversity, culture and anti-bias education and how integrating a loose parts philosophy can support children’s identities. We also recognize that we do not have all the answers and that instead we embrace the disequilibrium brought by ongoing discourse. We are constantly seeking new perspectives and are open to learning from our mentors, colleagues, and friends. We are willing to be vulnerable as we embrace diversity and recognize the challenges it brings. We wanted to write a book that would engage educators in asking questions. 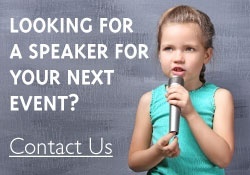 Our desire is for educators to join us in a quest for knowledge by continually seeking new perspectives that will enhance our collective work with young children and families. We hope that early childhood educators and families can work together to ensure that every child has a sense of belonging and opportunities to be who they are. We envision a future in which early childhood environments are designed to create hopeful futures for children, families, and educators. Why is it important for an early childhood classroom to be culturally sustainable? When environments are culturally responsive, and infused with materials that are authentic to children’s cultural values, there is a sense of belonging. Environments that embrace the cultural values of the children and families demonstrate respect for the rights of all children to thrive, grow, and develop. When children attend programs that embrace the deep cultural values represented through; language, artifacts, music, daily rituals, traditions and the arts, they can fully participate as valued members of the community. For children to gain a strong understanding of both self and group identity, educators have to establish a democratic classroom. In a democratic classroom, children learn to be aware of other people’s points of view, balance their own needs with those of other members of the group, and negotiate and cooperate with a diverse group of people. A culturally sustainable environment helps create inclusion, self-identity, and activism against injustice. As early childhood educators, we have the responsibility to create spaces that honor children and that recognize children’s strengths as creative, curious, capable, caring, and competent human beings. We believe that a culturally sustainable environment encourages play and promotes a sense of wonder, while inviting children to question and critically think about who they are in relationship to others. A culturally sustainable environment expands children’s knowledge about languages, cultures, communities, and issues of social justice. As children participate in the classroom community, they develop their humanity. More than ever, we need spaces for children where they can be hopeful; places where they can see themselves as active participants in the creation of a future that embraces common goals of respect and caring for each other. What did you learn during the writing process of Loose Parts 3? Did anything surprise you? As in all work that involves a deep study of diversity, as we wrote we confronted our own privilege and advantages in what seems to be an inequitable society. We considered the difference between equality (treating everyone the same), and equity, which takes acknowledges issue of power, privilege and oppression. Learn more and see a full list of titles by Lisa Daly and Miriam Beloglovsky.